Scappoose, Oregon – located just a quick 20-minute ride from the Portland metro/Beaverton area – is quickly being discovered as a quaint bedroom community. The charming country town of just over 6,000 people has been attractive to long-time residents as well as families looking to escape the hustle and bustle of the metro area in search of a small-town lifestyle. 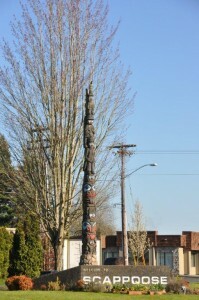 If it’s outdoor activities you’re searching for, Scappoose has much to offer. You can hike or bike the 17-mile Crown-Zellerbach trail, which connects Scappoose to Vernonia, or pedal around the Scappoose Dike area, which is a beautiful scenic country ride offering views of wildlife and an amazing shot at Mt. St. Helens. When you’re finished with your ride, you can stop in at Mark’s on the Channel for lunch or dinner and enjoy your meal in the floating restaurant. For the golfers, Wildwood Golf Course is just south of Scappoose and offers a challenging and beautiful course. In the summer, the Scappoose Farmers Market attracts those interested in delicious local produce, and the annual Sauerkraut Festival is a fun tradition that even includes the chance to try some local delicacies, including sauerkraut ice cream! The Scappoose Airpark is a valuable asset to the community, offering airport services to those in need. For more information, check out the City of Scappoose website. 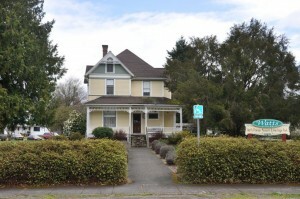 See what real estate is available in Scappoose, Oregon now!